Local authorities across the country say they are facing an huge uncertainty over the future of council services. Local authorities across the country say they are facing an “huge uncertainty” over the future of council services. At a vote on Tuesday evening, MPs voted to adopt plans to slash £1 billion in funding from government grants for local authorities. The Local Government Association complained of a £3 billion funding gap and said that they were facing an “unprecedented loss of funding”. The 2019 budget marks the ninth year of austerity for local authorities, including Wakefield Council. He argued that councils could see their spending power rise by £1.3 billion, 2.8 per cent, if they increased council tax, rents and business rates. 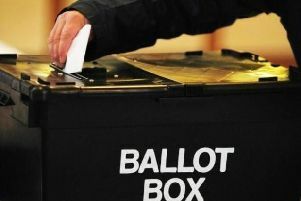 The Labour Party said that government grants for councils had fallen by 38 per cent since 2010. Mary Creagh, MP for Wakefield, said that the council had seen £42 million slashed from their budget since 2010. She said: “Councils up and down the country have struggled for close to a decade with brutal cuts from this Tory government, with Wakefield Council seeing a real terms drop in funding of £448 per household compared to 2010 when Labour was last in power. “Homelessness is up, libraries have closed and bus services have been slashed.